​Note: Prices subject to change. Note: Polo Tops are optional and can be worn to Rallies however a shirt with pony club tie must be worn for camp week. 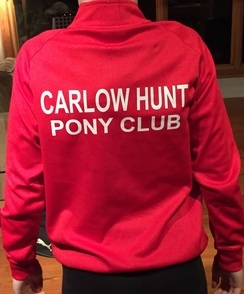 Note: You will only need the Carlow pony club xc (cross country) top and hat silk if you plan to compete representing your club, otherwise the pony club sweatshirt with a black silk may be worn for xc at camp and rallies etc.. Please note that a traditional self tying white stock is compulsory for all cross country. Note: If you plan to take part in any pony club competitions ensure to read the tack sheet for the relevant discipline on the Irish pony club website. This sheet also includes detailed information on appropriate clothing. This sheet is constantly updated so be sure to familiarise yourself with the current version. 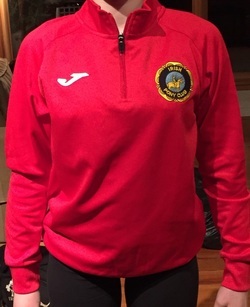 Any members who need a new pony club sweatshirt may view the new half zip top which is available to order in Jason Farrell sports , Tullow street Carlow. (Ph 059 9134355). 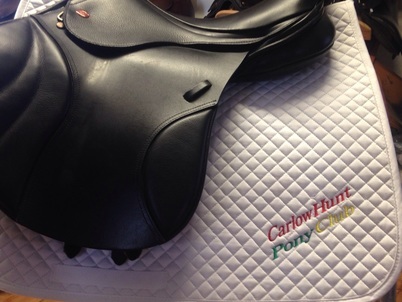 Carlow Pony Club numnah is now available to purchase for those that are interested.